By the morning of 9 December, the RCE had completed the bridge across the Moro River, enabling the tanks of the King's Own Calgary Regiment (Calgary Tanks) to transport two companies of Seaforth Highlanders across the river into San Leonardo. 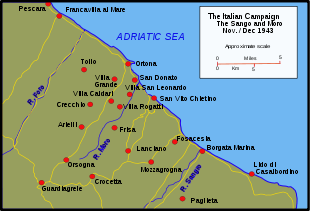 By mid morning, San Leonardo had been cleared of German defenders, although strong positions still existed outside of the town. Within an hour, the Royal Canadian Regiment's tanks had broken through German positions near Sterlen Castle and two companies had linked up with the 48th Highlanders and Princess Patricia's Canadian Light Infantry within San Leonardo, finally establishing firm Canadian positions across the Moro River. 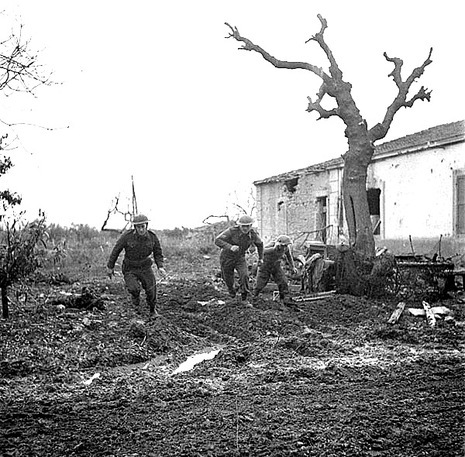 Near the end of 9 December, German forces of the 90th Panzergrenadier Division fell back to their second defensive line: a formidable obstacle known as "The Gully". 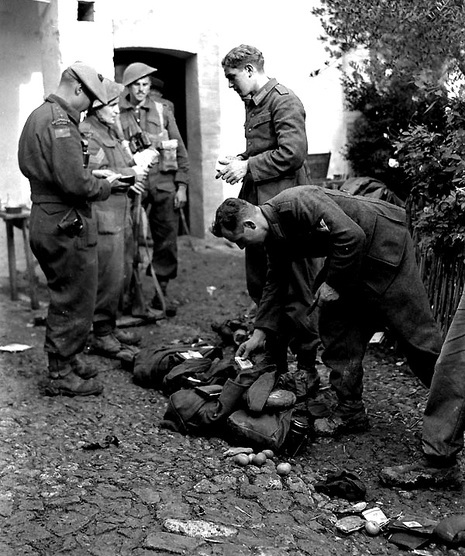 During December 1943, the Patricia's were heavily involved in the operations of Villa Rogatti and the Gully, winning many individual and unit honours in the process, and spent Christmas in Ortona. The next major offensive came at the Hitler Line, west of Monte Cassino, in late May 1944 during the Allied advance to Rome.